Yvonne can help you find love, solve relationship issues. So if you are confused, lost, alone uncertain, and you are looking for an ideal partner ...Yvonne specializes in love and romance. Allow her to unveil the Secret to find your Soul Mate or Twin Flame. 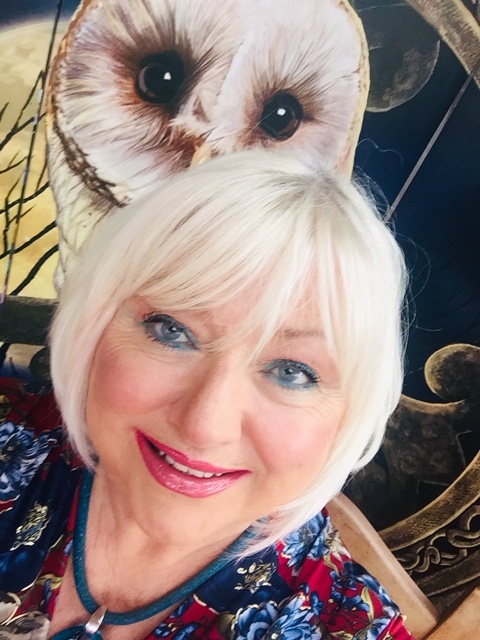 Guiding you to connect, with loved ones, in Spirit embrace Love, Joy, Happiness, Career, Goals, guiding your path and Shining a light In Health and Wellness Finance and Money and much more. When life appears hopeless theirs a remedy for you. Yvonne is known for her appearances on Ryan Confidential, Podge and Rodge, Seóige and Óshea, Brendan Grace specials, Night Owl's, The Saturday Night Show with ‘Brendan O’Connor, Nationwide, TV 3 Midday, Ireland AM and her role in Fair City as Bernie Walsh. Yvonne has also hosted other Stars when she presented Saturday live and Play the Game. Most recently she appeared on Salon Confidential. Her Tools are Tarot, Angel, Fairy and an array of Oracle Cards, Crystal Ball, Palmistry, Tealeaf, Law of Attraction, Kelontic Science Pendulum, Color therapy, Crystals Candle Magic, Ink, Wax and Cloud, Spirit / Entity Clearing, TTTE, Space Clearing with Feng Shui ...and combines these methods to suit individual requirements. Work Shops in most of the above. Tarot Cards with Book & CD on the way ...With Novel. Call Me Today For A Better Tomorrow. Bespoke Weddings Civil Ceremonies, Civil Partnerships, Renewal of Vows, House and Home Blessings Family Blessings. Elements include Handfasting, Unity of Sand, Candle and much more. Seven Days a week, at Home or Abroad.